Since the show has been aired this season we have seen a notable increase of 55% in bakeware sales and 42% in cake making and decorating products. The Great British Bake Off (GBBO) TV series is in full swing and is rekindling the nation’s love of baking. Airing on Channel 4, the show has seen a shakeup with Prue Leith joining Paul Hollywood, and comedians Noel Fielding and Sandi Toksvig replacing Mel Giedroyc and Sue Perkins. 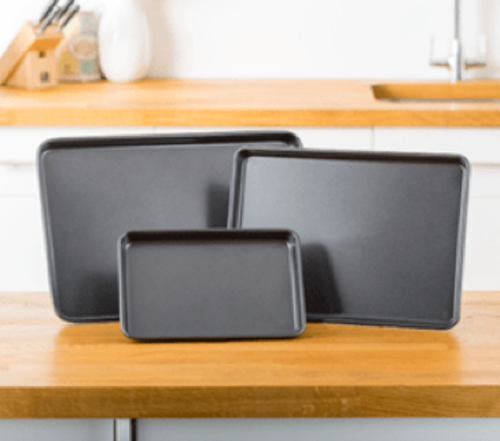 Despite the changes and departure of Mary Berry, latest figures from high-street homeware retailer Robert Dyas show that baking is top of mind in the UK and the new series has contributed to a rise in bakeware sales. GBBO has continued to inspire Brits with exciting recipes and beautiful creations. The first episode attracted 6.5 million viewers, making it Channel 4’s most watched show since the opening ceremony of the 2012 Paralympic Games. The term ‘Bakeware’ has been searched on the Robert Dyas website more regularly since the introduction of the programme. Robert Dyas has seen a significant increase in visitors to its bakeware section since the start of the new series. Robert Dyas has reported an increase in baking-related sales. Rachel Brain, COO at Robert Dyas said, “Since the show has been aired this season we have seen a notable increase of 55% in bakeware sales and 42% in cake making and decorating products. We have also seen over a 10% increase in the kitchenware range overall. “There has been a direct correlation between the number of people watching the show and those interested in recipes and baking equipment. This series has proved extremely exciting with more challenging bakes than ever before. We are looking forward to seeing what else is in store. The 94-store strong high-street hardware retailer is owned by former Dragon’s Den star Theo Paphitis. As well as baking accessories, Robert Dyas offers a huge range of kitchen related-gadgets to help amateur cooks prepare food like professionals. This press release was distributed by ResponseSource Press Release Wire on behalf of Robert Dyas in the following categories: Children & Teenagers, Men's Interest, Entertainment & Arts, Leisure & Hobbies, Home & Garden, Women's Interest & Beauty, Consumer Technology, Food & Drink, Personal Finance, Business & Finance, Education & Human Resources, Retail & Fashion, for more information visit https://pressreleasewire.responsesource.com/about.